As I write this, I am in the process of losing my grandmother. She was made hospice a few weeks ago, and my understanding is that we’re looking at the next 24 hours or so. On one hand, no one ever wishes for someone to pass away. On the other hand, everyone does eventually and her quality of life hasn’t been stellar lately. The best I can hope for at this point is that she passes peacefully and is no longer suffering. She’s my last remaining grandparent, my paternal grandmother. My paternal grandfather died a few years ago after a battle with Alzheimer’s. My maternal grandfather died before I was born, and my maternal grandmother died when I was very young, so I never got to know them. Even then, my dad’s parents always lived in Florida or California while I was growing up in Michigan, and they moved back to Michigan about six months after I moved to Kansas City. Some timing, huh? My point is that I never really had the “go to grandma’s and bake cookies and spend the night” experience that many kids have, but I still felt strongly attached to my dad’s parents as we visited them regularly and they came to Michigan when their health still allowed such travel. My grandmother and I even exchanged handwritten (and sometimes typewritten) letters for a long period during elementary school and I still have all of those letters saved in an envelope. We found our ways despite the distance. There’s something about losing your last grandparent, though. It’s different. Now my parents’ generation is the oldest remaining generation of their families. It makes their mortality into a clearer reality. One day, I’ll have to go through what they’re going through right now – watching my parents, the people who raised me, decline into failing health and at some point succumb to it. We’re all getting older, it’s bound to happen, but something about losing your last grandparent makes all of that a lot more real. Have I always gotten along with my parents? Of course not, and if you say you have, you’re either lying to me or to yourself. But it’s all too easy to let things linger and hold grudges until it’s too late. This holds true with any relationship, not just parental. My grandmother has been in somewhat declining health for some time, but you don’t always see it coming. The older I get, the more I am able to realize and appreciate the things my parents did for me, much of which was not immediately apparent as a kid. I’ve tried as an adult to recognize and thank my parents for those things they did for me growing up that I either took for granted or downright hated at the time. I fully acknowledge at this point that the life I am leading now would not be possible were it not for the support (in many ways) that my parents have given me. I haven’t always gotten along with my siblings, either, but now that we’re all adults, I easily recognize that my sisters are smart, funny, and great to hang out with (most of the time 😉 ). Having moved to Kansas City by myself, and living down here with no family close by, I rely a lot on my friends to be my local family. I say with full confidence that I have somehow managed to surround myself with some of the smartest, most creative, most beautiful and most supportive friends a person could ask for. My long-distance friendships all over the country from home, college or the various places I’ve traveled are just as important. Sometimes you just need to talk to someone who has known you longer and knows your back story. Truly, I feel like I have won the friend lottery with all of you. Maybe that’s why I like hosting parties so often – it’s my small way of showing appreciation to all of you who make my life so rich in so many ways. Now is the time to appreciate those relationships, not after it’s too late to do or say anything. Tell your friends and your families how much they mean to you. Show them how important they are while they can still understand it – you never know how many more times you’ll have the opportunity. 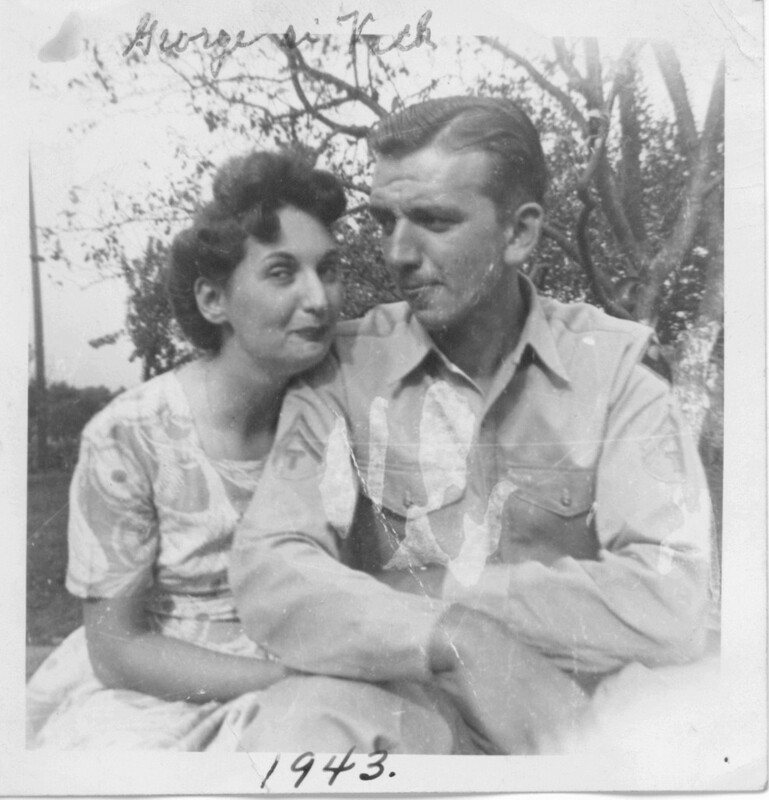 Update: 8:51pm 2/18/13 – My grandmother passed away peacefully a short time ago. Go tell someone you love them. ← the automobile: the original individual mandate?